Madrid (AFP) - An elderly Spanish missionary infected with the deadly Ebola virus in Liberia landed in Madrid Thursday, the first patient in the fast-spreading outbreak to be evacuated to Europe for treatment. A specially equipped military Airbus A310 carrying 75-year-old Roman Catholic priest Miguel Pajares landed at the Spanish capital's Torrejon air base at 8:15 am (0615 GMT), the Defence Ministry said. The priest tested positive for Ebola at the Saint Joseph Hospital in the Liberian capital Monrovia where he worked with patients suffering from the hemorrhagic fever, according to the Spanish aid organisation that employs him, Juan Ciudad ONGD. The plane, hurriedly equipped with plastic isolation tents before being dispatched from Madrid, also brought back Spanish nun Juliana Bonoha Bohe, who had worked at the same hospital, the ministry said. She has not tested postive for Ebola but is nevertheless to be isolated for treatment. 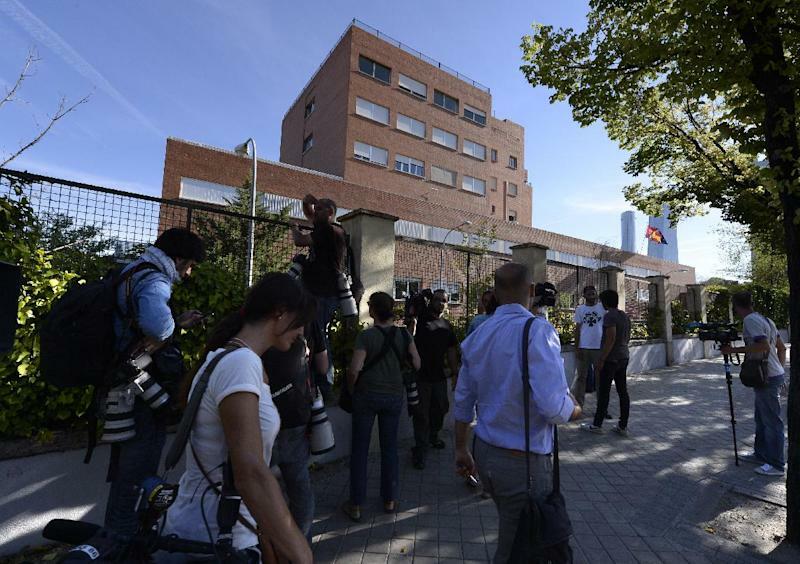 The Spanish priest and the nun were taken by ambulance to Madrid's Carlos III Hospital, which is specialised in tropical diseases, according to an AFP photographer outside the hospital. Ebola causes severe fever and, in the worst cases, unstoppable bleeding. It is transmitted through close contact with bodily fluids, and people who live with or care for patients are most at risk. Since breaking out earlier this year, the epidemic has claimed 932 lives and infected more than 1,700 people across west Africa, according to the World Health Organization. Other cases have been reported in Guinea, Sierra Leone and Nigeria. The Spanish priest had been in quarantine at the Saint Joseph Hospital in Monrovia, along with five other missionaries, since the death on Saturday of the hospital's director from Ebola. "This news has lifted my spirits, it is great, I am very happy. It is worth fighting on," the priest, who has worked in Liberia for more than five decades, told Spanish newspaper ABC by telephone when informed on Wednesday that he would be repatriated. Juan Ciudad ONGD, which runs hospitals around the world, has asked the Spanish foreign ministry to fly out two other nuns who were in quarantine with Ebola at the same hospital along with Pajares: Chantal Pascale of the Democratic Republic of Congo and Paciencia Melgar Ronda of Equatorial Guinea. 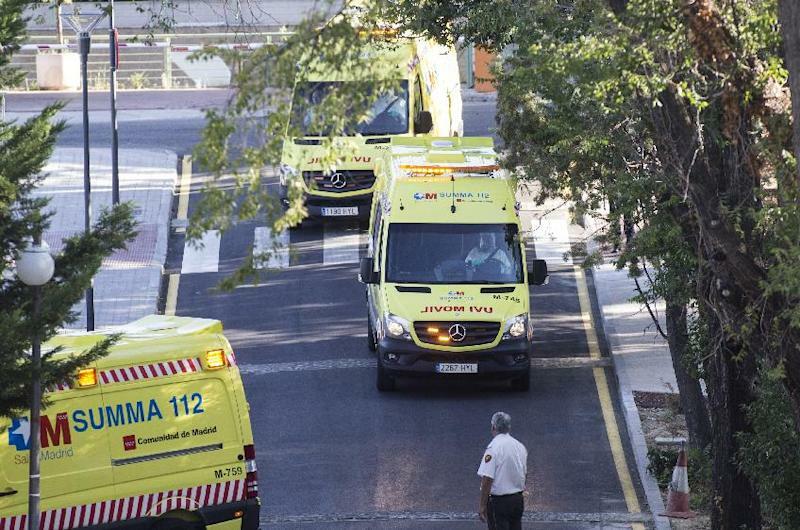 Spain's public health director, Mercedes Vinuesa, said the authorities were dealing only with a request for Spanish citizens for the moment. "What the country is considering is the repatriation of Spaniards," she told a news conference Wednesday. During an interview broadcast on Monday, the Spanish priest had said he and the other missionaries wanted to be taken to Spain for treatment. The Spanish priest's cousin, Begona Martin, appealed for the Spanish government to evacuate the African missionaries who are ill.
"We hope that they don't leave them there because we know what the outcome will be. As Miguel has said, they would be condemned to death. We can't let them die this way," she told news radio Cadena Ser.